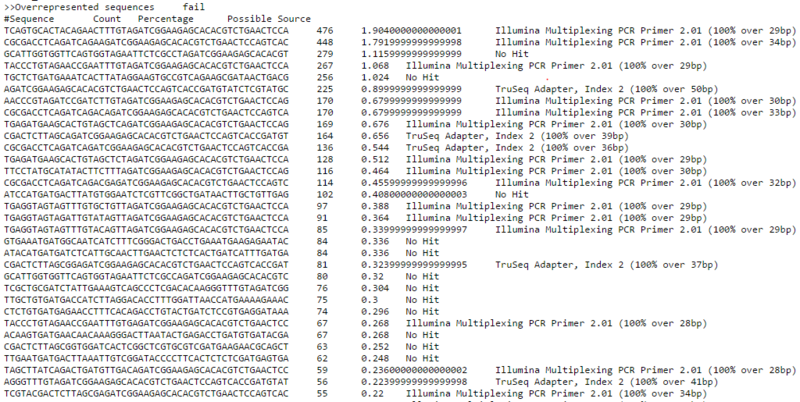 BBMap mentioned in the thread comes with a comprehensive adapters.fa file in the "resources" directory that covers all common illumina kits. Thanks for the reply. I do have the Illumina lists. I guess what I'm struggling with is how to decide what to trim, because when I tried to trim what I thought was the correct primer, it wasn't present in ~18% of my sequences.